After months of indecision the EU has voted to extend the licence of the herbicide, glyphosate for five years. CSU Emeritus Professor Jim Pratley from the Graham Centre for Agricultural Innovation writes about the implications for Australian agriculture. After months of indecision the European Union (EU) has voted to extend the licence of the herbicide, glyphosate for five years. Thankfully the European Union has voted to extend the life of the commercial herbicide glyphosate. Gylphosate is widely used in Australia under the brand name Roundup. While the action to ban the herbicide has been taking place on the other side of the world, there is always a spill-over effect to Australia. This sorry episode began with a report by the International Agency for Research on Cancer which made the statement that glyphosate was 'probably carcinogenic'. This extraordinary comment was based on selective data and there are no reports that such is the case. However it was taken up as an issue by activists and the availability of glyphosate has been threatened. It needs to be recognised that this chemical has been around since registration in 1974 and has been used commercially for well over 40 years. It is considered safe but like all chemicals needs to be used only in accord with instructions. It is the world's most commonly used chemical over a long period of time and its availability and its efficacy needs to be protected. Interestingly French President Emmanuel Macron has indicated that glyphosate should be banned in France 'as soon as alternatives are found and within three years at the latest'. There are no alternatives Mr President and won't be within three years. All companies have been searching for another Roundup and thus far have turned up nothing. It is a once-in-a-generation herbicide. The loss of glyphosate to Australian farmers would be devastating. This herbicide has enabled farming to address totally the soil erosion disasters of 30 years ago through conservation farming techniques. Whereas in the past crop seedbeds were prepared by the plough, this is all done today with one application of glyphosate and then the crop is sown into undisturbed soil. Withdrawal of glyphosate therefore would threaten conservation farming and take us back to the 'bad old days'. Nobody wants that. Glyphosate is also used by local governments for roadside weed control and it is the most common herbicide for households as well. On the one hand stopping those uses would help preserve the efficacy of glyphosate by reducing the build-up of weed resistance to this herbicide. On the other hand, other herbicides are generally less-safe than glyphosate and so there is no gain in doing that. The biggest threat to glyphosate now is the growing incidence of resistance in weeds that it aims to kill. Herbicide resistance is becoming more widespread and the selection pressure has increased in recent times by the release of herbicide tolerant crop varieties. Greater effort needs to be made to preserve the efficacy of glyphosate and this includes rigid adherence to herbicide resistant management protocols. So while common sense has prevailed in the EU and we can breathe more easily as a result, we need to ensure we do not become complacent that this threat will not re-emerge in the future. We also need to make sure that the users of the product in Australia continue to manage its use to preserve its efficacy. 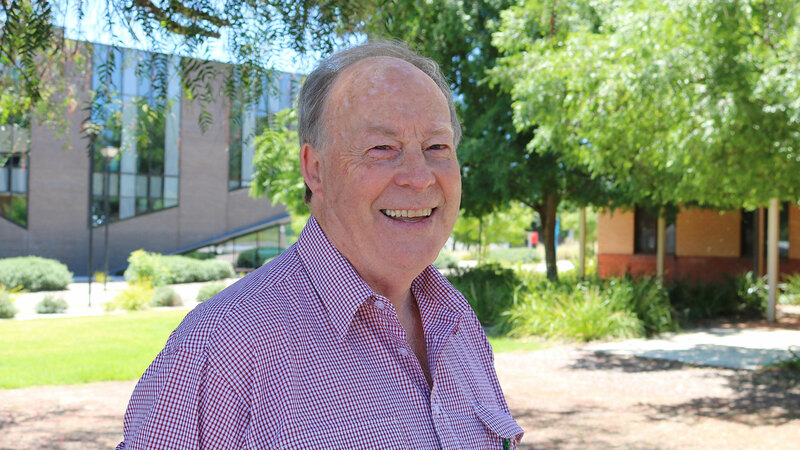 Biography Emeritus Professor Jim Pratley. CSU Emeritus Professor Jim Pratley currently leads the plant systems research pathway at the Graham Centre for Agricultural Innovation. He was the foundation Dean of the University's Faculty of Science and Agriculture and is secretary of the Australian Council of Deans of Agriculture. Professor Pratley has served as President of the Australian Society of Agronomy and Vice President of the International Allelopathy Society. His research has focused on conservation farming, herbicide resistance, weed science, and the development and management of self-weeding crops.